I love the look of dual color kitchen cabinets. There are so many different color upper and lower kitchen cabinets combos you can do. Any two colors work, even two neutral colors. It makes neutrals more interesting and statement making. Not much room to work with in the kitchen? Create the illusion of a bigger space with depth and style. 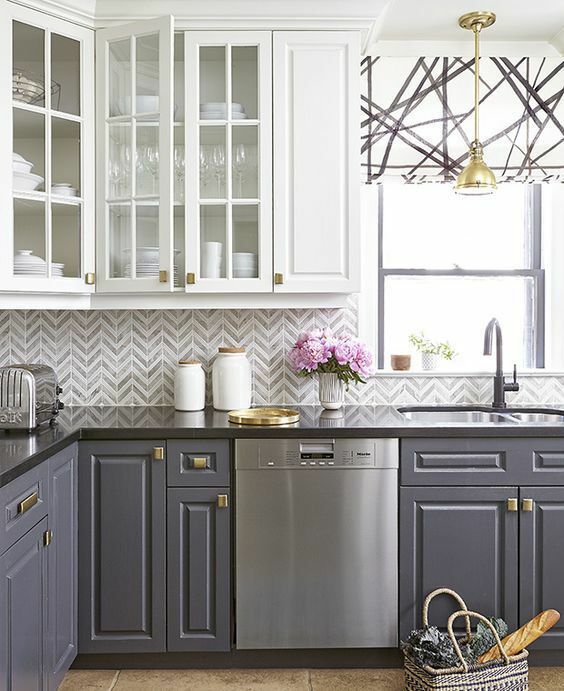 I love the dramatic look of contrasting colors in the kitchen. It makes for a very interesting space to not only prepare meals together but just to hang out. Turn that contrasting color combination up side down. Modern two tone kitchen can be done with any color combo but blue seem to be on trend right now. Kitchen cabinets with different colors top and bottom can seem like a lot of work but the end result is worth it. 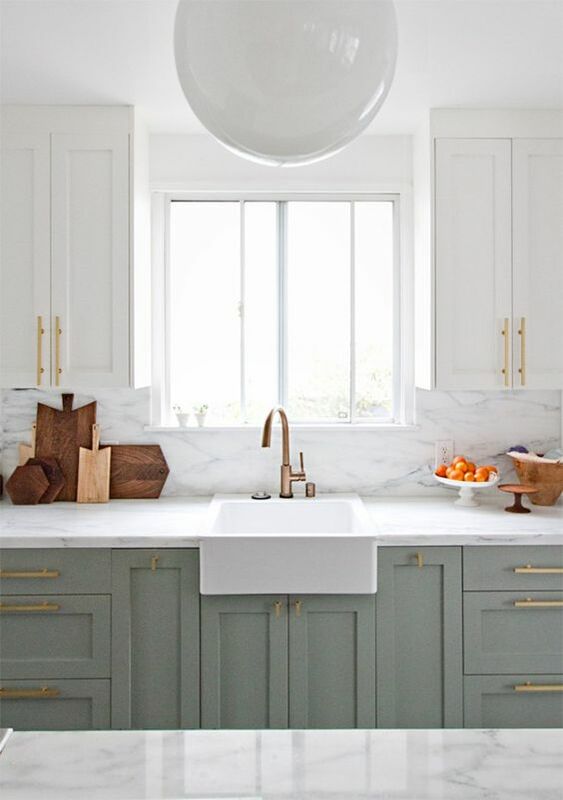 I love the pop of color and brightness this adds to the kitchen.